Is capitalism the only road to making it in the music biz? Every time I attend a music industry gathering, I am struck by how far behind the curve our cultural policy-makers are. Last weekend’s KZN Music Industry Imbizo, where I was a speaker, was a modest affair: a trade exhibition, some live performance showcases, and three days of talking heads variously pontificating, educating and entertaining, all folded inside the faded glory of Durban’s historic Royal Hotel. This year, the seventh edition was slightly more modest than the organisers had hoped, since despite a go-ahead from provincial funding mechanisms back in May, the cash still hadn’t arrived by the opening date of August 27th. Nevertheless, there was an impressive guest list, headed for South Africa by one of the fathers of our modern jazz, Themba Mkhize, and for the visitors by Monte Malone, Senior Vice-President of A&R Worldwide and Seymour Stein, vice-president of Warner Bros Records and founder of legendary label Sire Records. The symposium sessions were packed to overflowing. The seminar audience, though, was dominated by youngsters, all bright-eyed, bushy-tailed and eager to learn how to become a (hip-hop) star. We saw far fewer faces from music education, and from genres such as traditional music and gospel. That was probably a pity, since both those genres are far larger than hip-hop – and gospel, nationally, is larger than all other genres of South African popular music rolled into one. Both traditional music and gospel have made necessity the mother of invention, developing their own highly effective professional networks, product outlets and performance circuits way below the radar of conventional industry commentators. They have much grassroots wisdom to share. But what the dominance of youth did demonstrate is that digital savvy – at least at an individual level – is far higher in a roomful of musically-inclined young people than in a boardroom full of distinguished arts and culture bureaucrats. Everybody was wired into some kind of device, running the gamut from beat-up feature phone to shiny laptop; busily Tweeting, photographing, recording, taking notes, checking data. Nobody needed the power, speed and reach of the digitally-transmitted MP3 music file explained to them – they just wanted to learn how to use it better. But if there was a decent grasp of ‘how?’, the audience remained eager to debate ‘what?’ and ‘why?’ And there we began to see, starkly, the contradictions within the ‘creative industry’ paradigm for thinking about the music industry. A little hard-headed self interest is perhaps understandable. South Africa experienced a long period of righteous cultural volunteerism in the service of the struggle. That was followed by an equally long period when politicians in a now- liberated South Africa continued to demand that musicians donate their services under some slogan or another. A little cynicism is likely to be added to the mix when it becomes apparent that some of those politicians were at the same time enthusiastically filling their own pockets. The danger of talking about music within the music bubble is forgetting that many of the industry’s problems and challenges are not unique to the industry. They reflect the society around us. That society is shaped by political choices. And it doesn’t always have to be this way. Music organizer Akhio Kawahito reflected that the average life-span of a hip-hop artist in the market was “perhaps three years.” Mankunku began playing (piano) in 1950 aged seven. He was still playing (saxophone) more than half a century later, short months before his death. Maybe taking the longer musical view helps in getting a few priorities right? A long time ago – well, around the early 1990s – jazz performances in Joburg often featured more than their fair share of covers. They were usually covers of South African originals: Laukutshon’Ilanga, Nytilo Ntyilo and the like. Nevertheless, it is easy to forget now how dramatic has been the explosion in the past quarter-century of new, original, local repertoire. These days, a stage version of Laukutshon’Ilanga at somewhere like The Orbit is a rarity; to succeed, artists don’t just need their own sound and skill, they need their own music too. Pianist Nduduzo Makathini is in no danger of failing that test. 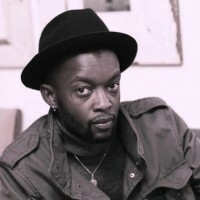 To his two 2014 albums Mother Tongue and Sketches of Tomorrow, he has now added a 16-track double album, Listening to the Ground (http://www.cdbaby.com/cd/nduduzomakhathini3 ). 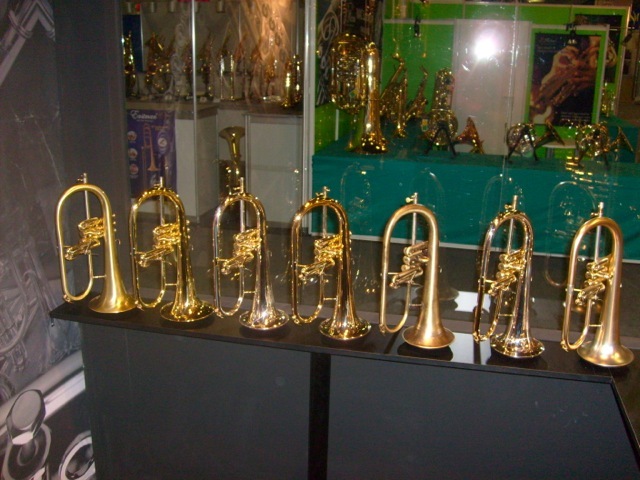 It is a big collection not only in scope and imagination, but also in sound. Makhathini’s core trio – on this outing comprising Magne Thormodsæter on bass and longtime companion Ayanda Sikade on drums – is augmented by other impressive voices, including reedman Karl-Martin Almqvist, trumpeter Robin Fassie Kock, percussionist el Hadj Ngari Ndong and the voice of Omagugu Makhathini. The material ranges widely, from the richly patterned pan-African groove of Lagos Blues and King Fela to the disassembled and reconstructed mbaqanga of From an Old Bag of Mkhumbane, with stops at church, traditional community, avant-garde jazz club and family along the way. Makhathini is a highly individual composer. While the rolling, sombre introduction to Supreme Light reminds us that the inspirational shadow of Abdullah Ibrahim is never too far from any South African pianist, the rest of the tune goes in a very different, edgier direction. For You is a classic mid-paced ballad that might have been written to get dancers out on the floor. It also shows off nicely the pianist’s virtuosity. As for the Mkhumbane tune, when I heard it live it did get the dancers out for some far more old-school South African revels, and looks set fair to become an audience-request favourite. Listening to the Ground feels more polished than the 2014 releases – one of the advantages that the resources of the Standard Bank Young Artist for Jazz award brings is time to concentrate on the music. To underline that point, the album revisits an earlier track, Imvunge for two minutes of intense, helter-skelter exploration that distills the essence of that quirky theme. As both player and composer, Makhathini is now a formidable force in new South African music, and this album should be travelling far and wide to announce that fact. While South African players are reveling in the freedom to compose for their own recordings, American pianist Robert Glasper has made his latest release, Covered (Blue Note) the occasion – as its title implies – to visit music from some other people as well as himself. In a straight-up jazz trio format, he works with bassist Vicente Archer and drummer Damion Reid: the players with whom he launched his Blue Note jazz career a decade ago, before he gathered a hip-hop following too. The dozen-song selection is eclectic (“A mix of new and old songs that I love,” Glasper calls them), from old chestnut Stella by Starlight to I Don’t Even Care from Black Radio 2, from Joni Mitchell to Radiohead, and more. 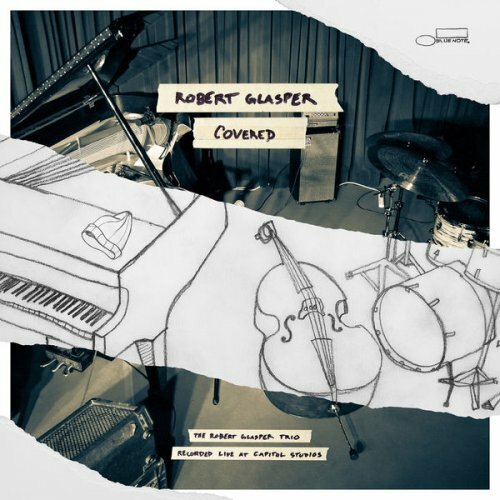 Most beautiful for me was Glasper’s version of Jhene Aiko Chilombo’s The Worst, which you can sample on Glasper’s website at http://www.robertglasper.com More bits of cover material pop up in his own In Case You Forgot, peppered with quotes including Time After Time. It doesn’t really matter what genre label you hang around Glasper’s neck, he is a sensitive and imaginative player who always follows the most intriguing paths a tune presents. I Don’t Even Care is here a fragile packet of musical surprises; In Case You Forgot, almost a fugue. By contrast Stella has been, in his own words “flipped and re-harmonised to make it more digestible.” It sounds like one of the old masters – maybe Bill Evans? – except…not. It’s definitely Glasper, creating from a 1944 tune something that 2015 audiences can feel. There are voices on the album too. Glasper treats the gig as if he were in an intimate club, conversing with the audience, taking on board a self-aware rap about survival from elder statesman Harry Belafonte, and orchestrating the conscious, poignant, children’s voices that interlock on I’m Dying of Thirst, the final track: a protest against the racist waste of African-American lives. Glasper has spoken (http://www.motherjones.com/media/2015/06/robert-glasper-covered-interview ) of the beauty he finds in repetition and simplicity. This album has both: the repetition of groove and intricate patterning, and the simplicity of a gorgeous, un-ornamented piano line that can break your heart. “I missed the piano,” Glasper has said. “I feel like people forget I’m a piano player.” They never could, but in some of those more texturally crowded (and essentially collective) hip-hop contexts, our ears had to search for his sound. For those of us who missed those beautiful lines, Covered inspires a heartfelt ‘Welcome back’. Composing, and interpreting music composed by another, are two different musical skills. Not every player has both in equal measure. Coltrane or Miles Davis could make you hear a simple, silly pop tune in a startlingly fresh way, with a wholly different emotional impact, through interpretation alone (watch https://www.youtube.com/watch?v=Bga8gFkDLIg ). So while we revel in the compositional riches that a player such as Makathini can bring us, Glasper’s album is a welcome reminder that we need to cherish our great interpreters too. During the Struggle years, musicians were cherished by their communities. They were cherished not for the money they made, or the bling they displayed, but because their voices spoke out for and from community experience. That has changed. Personality profiles on the lifestyle pages and high-level cultural policy documents share the same view: music is a commodity to be bought and sold, so an individual can get rich or a value-chain can be enhanced. Ornette Coleman got it right: “It’s me they’re selling…I’m the product…” Lip-service is paid to goals such as social cohesion. But commodifying artists and their creativity is about as effective a tool as you could fashion to destroy social cohesion, replacing it with envy and greed. So we don’t cherish our musicians any more the way we should. On August 12, Feya Faku’s home in Linden was ransacked and, among much else, his trumpet and flugelhorn were stolen. 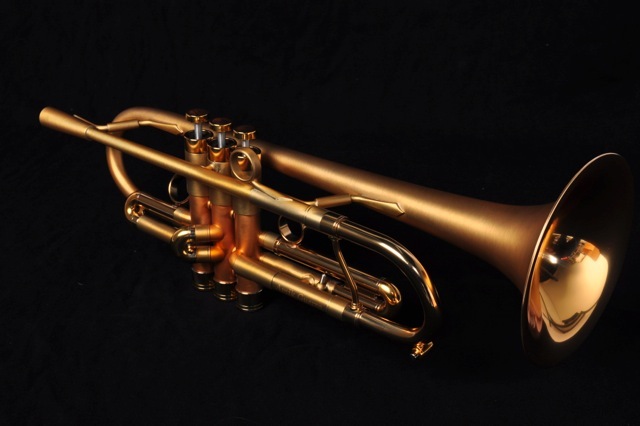 They were rare, specialist instruments acquired during his trip to the US last year: made by Adams; lightweight; and gilded to accommodate a skin sensitivity the trumpeter suffers. This is the second attack on his creative base that the trumpeter has suffered. Last year, shortly before he recorded his sixth and latest album, Le Ngoma (Feya Faku Music), a previous home was broken into and hijacked while he was in the process of selling it. He is still trapped in the time-consuming legal maze of claiming it back from the vandals, unable to realise its value. Le Ngoma opens with a melancholy five-minute meditation on that experience, Vandalized, which sets the tone for an album dominated by memories and memorials. The dozen original tracks also include tributes to musical and university colleague the late Zim Ngqawana (Dirge), jazz singer Sathima Bea Benjamin (Miss Benjamin) and reedman Ezra Ngcukana (Nyaniso) as well as Faku’s regular tribute to those other musicians who have passed, Hymn For All. There are memories of Eastern Cape childhood (Barefoot Boys – a title, though not a tune, riffing on the Abdullah Ibrahim tribute to Mongezi Feza, Barefoot Boy from Queenstown), and of the community spaces where the music was nurtured (Peddy’s Place). There are echoes of church in the hymnal Zion, and of deep tradition in the closing mouth-bow Offtake. The album was recorded in Switzerland, with saxophonist Domenic Landolf, pianist Jean-Paul Brodbeck, bassist Fabian Gisler and drummer Dominic Egli. While there has always been a lyrical, minor-key melancholy about much of Faku’s music, the tone here is darker and sadder than usual, in regrets for friends – and values – lost. Landolf’s modal excursions on the melodies abstract and concentrate the essence of the emotions; Egli’s dense textures provide atmospheric wrapping. As for Faku’s own playing, it underlines how severe a blow the loss of those instruments is. He comes from a line of Eastern Cape jazz trumpet descent that valued speed and showmanship, and Faku certainly has the technique to let those fly when needed. But what makes his trumpet voice his own is the level of control he can bring to those helter-skelter cascades of notes, and his understanding of space and restraint. In that, those Adams horns were his perfect match: offering just the right colour and mood in their tones, and (as was visible on stage) accommodating his individual physicality as a player in their heft and feel. But in today’s novelty-hungry context, why still return to such familiar material? Why does almost every jazz musician of note, anywhere, have (or aspire to release) an album of the standards? The answer is very simple: those old pop songs are still earworms. Hear them once, and you can’t forget them; hear them twice and you start identifying with and philosophizing about the emotional content of the lyrics. “Extraordinary how potent cheap music is,” concluded British dramatist and composer Noel Coward (who wrote a few memorable examples himself). That truth is beautifully illustrated – and with nothing cheap about it – by South African singer/songwriter, instrumentalist and producer Gavin Minter on his latest release, A Beautiful Friendship (Real Wired Music) https://itunes.apple.com/za/album/a-beautiful-friendship/id844843546 . Pietermaritzburg-born Minter has worked with everybody: the far-too-long-to-repeat list runs from work with The Genuines, Chris McGregor and Johnny Fourie to opening for Paul Simon and guesting with the Stockholm Jazz Orchestra, Luther Vandross and Stevie Wonder among others. This album is a South African/Swedish co-production recorded in Stockholm. Minter, pianist Andrew Lilley, reed player Amanda Sedgwick, guitarist James Scholfield and drummer Kevin Gibson are joined by two Swedish musicians South Africa knows well: bassist Martin Sjöstedt and saxman Fredrick Linborg, alongside horn player Karl Olandersson. The 12 songs are all familiar friends, from the title track through The Very Thought of You to a sprightly That’s All and a wistful concluding Somewhere Over the Rainbow. Minter has a classic voice that takes on the perfect emotional colour for each song, with just the right admixture of cabaret smoke, squeaky-clean diction and apparently effortless swing. (Nothing about good music is really effortless: it’s the result of years of hard work). Göran Strandberg has scored arrangements that are neither jarringly anachronistic, nor archly retro. And there is space for some beautiful soloing, particularly from Lilley and Linborg. It’s the kind of album you might buy for your dad, because he’ll know the songs, but end up borrowing far too often. Just buy two. Some titles are predictable in this context (Arthur Altman’s 1939 All Or Nothing At All; Cole Porter’s 1936 Easy To Love) but many are not. Lakatos has looked – in very much the way we were discussing in Sophiatown – for tunes that should be standards: for what trumpeter Marcus Wyatt called, in that debate “[songs that are] challenging and stimulating to play”. Many of those were written a generation later than the conventional canon, and by jazzmen. So we have, among others, Monk’s Ask Me Now, Sonny Rollins’ Why Don’t I, Bill Evans, Thad Jones and Herbie Hancock. From a newer generation yet, there’s trumpeter Kenny Wheeler’s 1988 Everybody’s Song But My Own (surely a comment on the constraints of the conventional repertoire?) and Lennon and McCartney’s Michelle – that last becoming a surprisingly lush, bluesy soprano ballad. Standard Time was widely praised when it was released last year, and rightly so. The quartet is in impeccable form. Pianist Jim McNeely underlines the emotions with measured, thoughtful solos; bassist Jay Anderson and drummer Adam Nussbaum provide impeccable, delicately judged support. Like Minter, Lakatos’s playing creates the illusion of effortlessness. But he takes some very personal, expressive risks with his story. Some tunes may be from the past, but the playing is often also as edgy as tomorrow, as on a brisk, surprising Easy to Love. The album may be labelled “standards”, but the sound and the vision are wholly fresh. PLEASE TELL ME – do you want a regular listings section in this blog? It isn’t time-tied like a newspaper column. Some of you, I suspect, only catch up with it after the relevant calendar week. But if you’d like a quick round up of gig highlights, I’ll happily add one. South Africa has never been short of songs. A multiplicity of language groups, storytelling styles and faith traditions have all contributed elements woven and re-woven over generations to sing of personal landmarks and community histories. As a modern music industry emerged, individual musicians drew on and added to this storehouse. Commentators, though, have tended to focus more on performance and performers than on material. Our classic modern songwriters – Victor Ntoni, for example, or Steve Kekana or Caiphus Semenya – have rarely been granted the status they merit, as our Kerns, Gershwins and Johnny Mercers, producing standards for our as yet unwritten Real Book. Now, however, something interesting is happening. A younger generation of singers is both writing and sharing good new songs, and bringing fresh voices to older classics. Nicky Schrire covers Victor Ntoni’s Seliyana as well as penning her own clear-eyed narratives of life, love and singing; Tutu Puoane covers Schrire’s Sunsong alongside Kekana’s Take Your Love and Leave It. Siya Makuzeni, no mean composer in her own right, applies her voice to You Were There, co-composed by Puoane and trumpeter Marcus Wyatt. As these creative intelligences interact, an independent contemporary song idiom is emerging, miles distant from the lip-glossed, pseudo-American, “lu-u-rve-you-baby” that big-label hegemony tried to impose on female singers in the 1990s. The sound is international in its awareness of nu-jazz and nu-soul trends as well as the US jazz heritage, and profoundly South African in its use of elements from our own traditional, jazz and pop histories. Tutu Puoane’s Ilanga (SoulFactory/Jassics) contains both her own (and regular Belgium-based band members’) compositions, as well as covers of songs not only by Schrire and Kekana, but also jazz classics such as Body and Soul and Fascinating Rhythm, and Nina Simone’s Images. 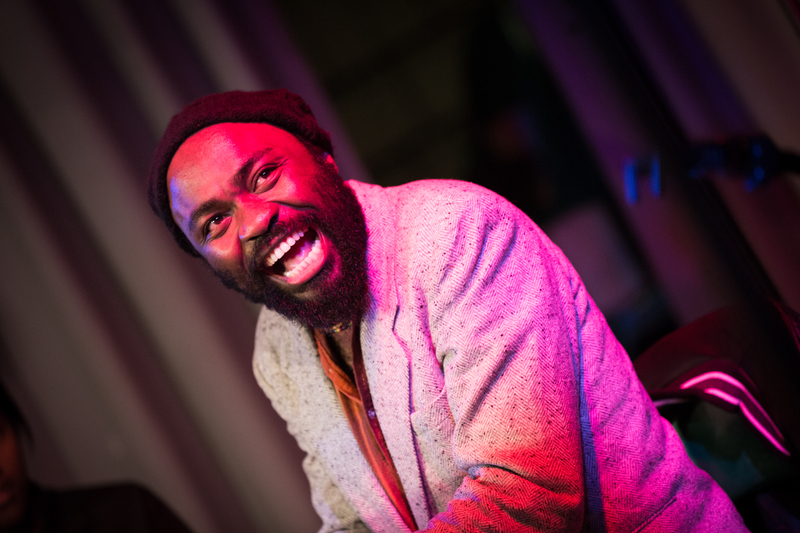 Puoane’s small group is augmented by the horns of Carlo Nardozza and the saxophone of Wietse Meys, as well as local voices Kabomo and Africapella. It’s Puoane’s most radio-friendly album to date, with 13 mainly short, often highly infectious tunes, including flavours of soul and rn’b on Change the World and Over You. But she doesn’t skimp on the improvisation, in styles ranging from the brisk, classic insouciance of Fascinating Rhythm to the extended, soaring polyphony of Home. Her carefully-judged diction and timing bring musicality and storytelling together – when did you last think about the lyrics (rather than the notes) of Body and Soul? Puoane’s skill and stature have matured to the point where her albums no longer need recommendation. If you prize South African singing, they should all be in your collection. It’s that concern for a good narrative that unites Puoane’s and Schrire’s artistries. Schrire’s latest release is an EP, An Education (Wildsound), in duo with cellist Ariella Caira of quartet Sterling EQ. The label specializes in folk music, and the publicity describes Schrire as ‘crossing over’ into that genre. However, the crossover is invisible. The characteristics that made Schrire an interesting singer on the labels that claimed her for jazz – the bittersweet swing and ability to let a good line breathe and use ornament to enhance storytelling rather than show off virtuosity – are all still there, and the lean format is an excellent showcase for her songwriting. Caira is an empathetic partner, judiciously underlining and enriching textures and moods. The title track is typical Schrire with its gentle play on words, as it tells the story of a music graduate’s life, mired in “all of those Coltrane licks/ and ways to practice flattened fifths/ and how” (in life as well as music) “resolving gets delayed.” Essential listening. The debut album from Ziza Muftic, Silver Moonbeams (SumoSound), suggests that she is very likely to be part of this new community of singer-songwriters whose material merits the attention of other vocalists. Muftic’s ten tracks include four covers: Oscar Peterson’s Nigerian Market Place, a Serbian folk song, the Bartok version of a Hungarian folk song – and another take on the Puoane/Wyatt You Were There, clearly headed for standard status. Muftic has a soft, smoky-toned voice and, like Puoane and Schrire, she’s a formidable storyteller, giving every word of her narratives the space to breathe. The Bartok – the title track – becomes a chanson for a dimly-lit café-bar given atmospheric texture by Roland Moses’s piano. Muftic’s own material is often gently melancholy, with a distinct Eastern European melodic flavour. But the mood is not unvaried: she swings sweetly on the Peterson, while The Score reveals a refreshingly astringent nu-jazz edge in both sentiment and harmonic structure, underpinned by neat horn work from producer Marcus Wyatt and drums from Peter Auret. What listeners need from a debut is a clear announcement of who the artist is, and Silver Moonbeams offers a skillful, appealing answer to that question.